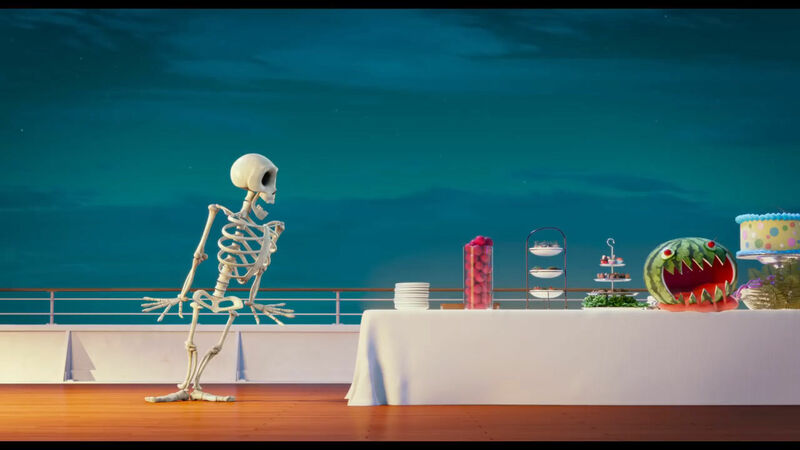 I thought I’d continue on the point of my last post with an example of a full scene where the directors have chosen for more restrained animation and analyse why from a story perspective. I’ve also gone through and looked at why this is also great animation from the perspective of the 12 principles, despite being so minimal in those terms. I recently came across this scene with director voice over on the New York Times. While the audio of the film is somewhat muted, there’s still plenty of information to glean how individual shots work within their sequence. In order of sequence, here are some shots with minimal movement, and why in my view simple motion was chosen over something more complex. I should take this to point out that although I am working at Sony, I didn’t work on this film and views are entirely my own. The second shot of the sequence is the establishing shot. The purpose being to give the audience a chance to take in the environment and have a sense of where the action is taking place. 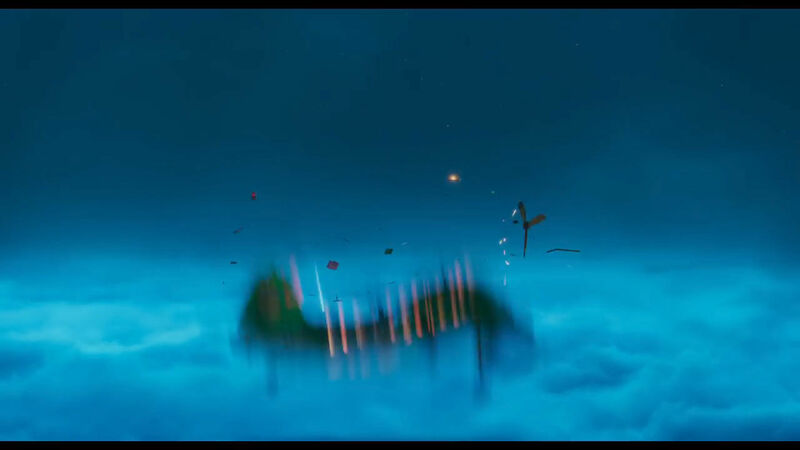 This would be a key reason for minimal character movement, along with the characters themselves having a chance to take in their surroundings. This part of the sequence has 3 consecutive shots of minimal movement. Miles standing on his uncle’s shoulders to reach a high point is definitely a visual way to describe their relationship but the key here is also the spider. The outstretched held pose allows us to focus on its movement towards taking the all important bite that sets the story wheels in motion. Another shot where the environment is the focus, not the characters. It also marks a tempo change in the scene, from enjoyment of their artistic process to contemplation, both of the artwork and thoughts & words being imparted. The amount of movement in the animation reflects the change in tempo. Two shots of the minimal acting taking place. Again the focus being on quiet contemplation between a mentor and mentee, there’s no need for strong reactions or exaggerated acting. The shots feel natural even by staying within just one main pose. The minimal movement here serves some comedy relief for the scene, Miles’s reaction goes against our expectations; we all know the importance and life changing events that will happen with the bite of the radioactive spider, we also know how over the top people often react to spiders. 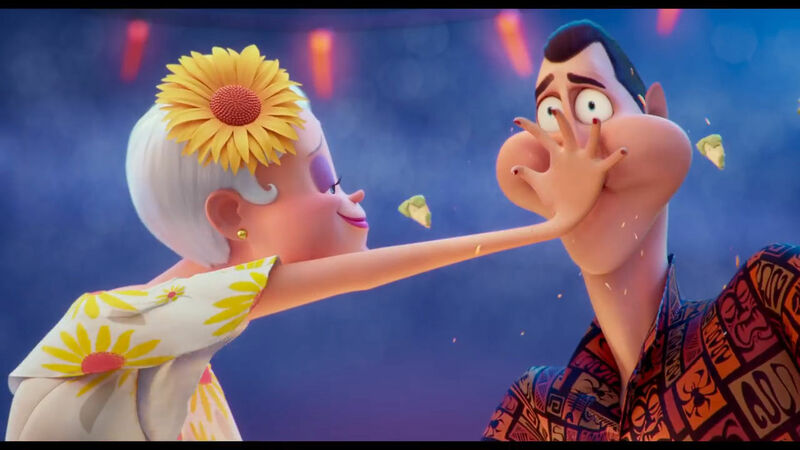 The acting is a massive downplay of both points and in doing so with such a whimsical slap, creates humour. The shot has clear silhouettes, especially of the arm on the lever which hooks up with the previous shot. With the silhouette we can also make out Miles looking around, his little spring mid way gives a visual clue to his excitement. His uncle’s movement is completely restrained, letting our eye take in the environment and then Miles, there’s no conflicting motion on Uncle Aaron to draw our attention to places we don’t need to be looking. The posing of the characters and framing of the shot lets us see all the way down to Uncle Aaron, keeping a visual continuity through the scene. The faster move of Miles’s hand at the tail of the shot adds a touch of texture to the timing. I love the staging here, the characters framing the painted figure, the words “no expectations” are clear and also Miles is positioned to cover most of the light source. Given a viewer’s eye is often directed to the brightest point of an image, it makes sense to hide some of that to reduce its visual significance. The posing here giving a clear differentiation of the two characters, Uncle Aaron looking far more confident and comfortable within himself. Also notice the staging, Uncle Aaron surrounded in dark shadow, the younger and innocent Miles staged in a vibrant and lighter backdrop, another visual way of telling story. The posing here is spot on in telling us what we need to know, Miles is taking it all in and processing it. Notice the break up in timing of the eyes and brows, and also the subtle furrowing at the end of the shot. Pay attention to the silhouette at the head of the shot, it’s designed to read the spider on the hand, the lack movement combined with this gives us a quick and easy read. Notice the break up in timing of the hand doing the slapping, moving from medium to slow to fast and back to slow, there’s nice texture to it and gives us a chance to read the motion. Also the acting choice of the slap feels dainty, it creates some nice humour. I hope looking at a sequence and shots that comprise it have helped to garner thoughts of how important working with the sequence is. 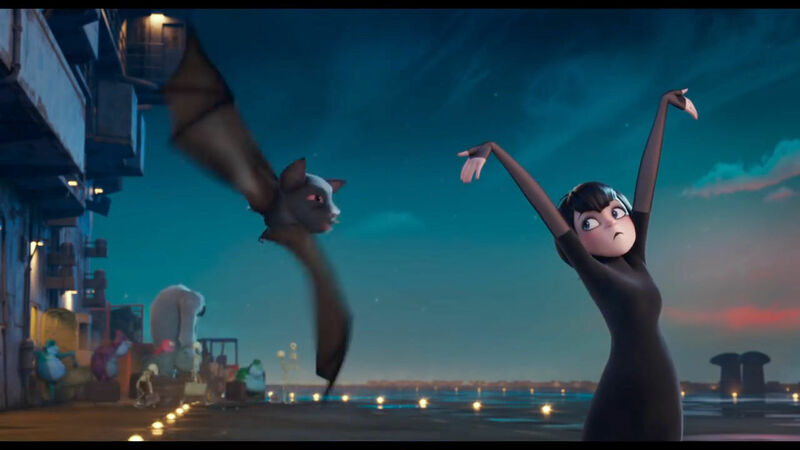 Animation isn’t just about the 12 principles, by all means we should analyse, understand and appreciate those aspects, but it’s only part of what makes a shot great. The other part is telling the story in a way that shot requires, even if it is just one held pose and a subtle eye dart. This entry was posted in Uncategorized on January 27, 2019 by Tim. “Simplicity is the hall-mark of all art forms and animation is no exception” – Chuck Jones. Through animation schooling we’re often taught to appreciate great animation as one that utilises the 12 principles effectively, motion that is so well executed that it creates the “illusion of life”, performances that are memorable or shows a high level of technical prowess. We study masters like the 9 old men, Glen Keane and modern films by Pixar, Dreamworks and ILM. But to me this is only part of the way to building an understanding of what good animation is. 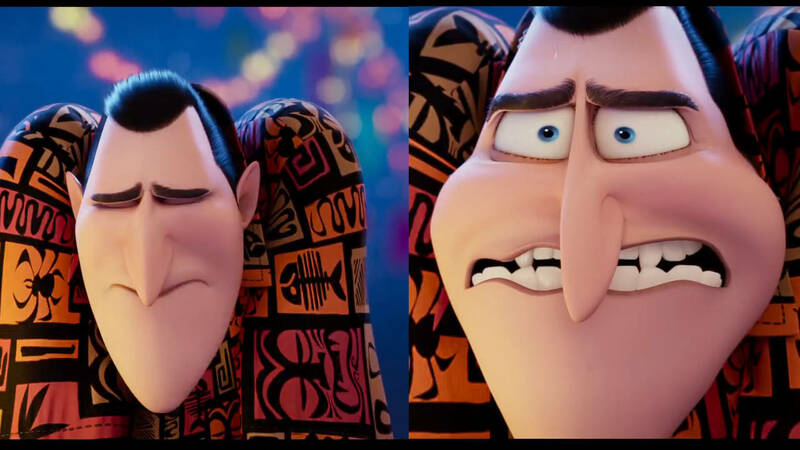 While we can look at these shots for their use of principles and the character that the motion conveys, the downside of doing so is that we often take them out of context of their environment, we learn to praise and appreciate animation for how it looks but not what it serves, i.e, story. 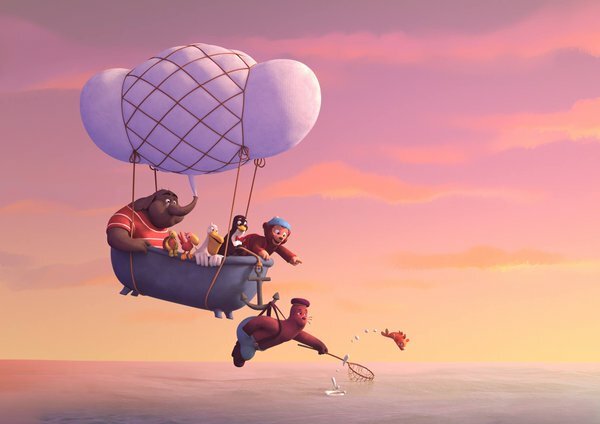 The role of animation in narrative work is to visually tell story, our 12 principles are a means we use to achieve that aim, but they aren’t an end to themselves. 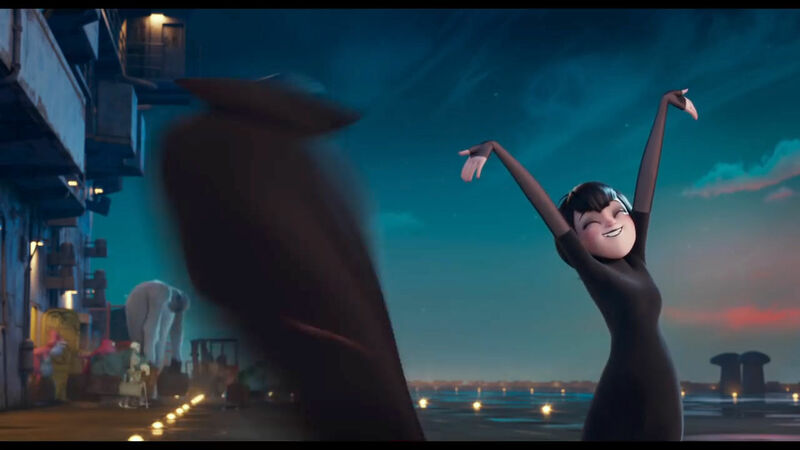 A shot with no movement can be great animation and shot with amazing movement, character and timing can be a failure if it doesn’t provide what the story requires. To try to highlight this point, I’ve gone through the latest trailer for Spider-Man : Into the Spider-Verse and picked out shots that favour simplicity over complex animation. 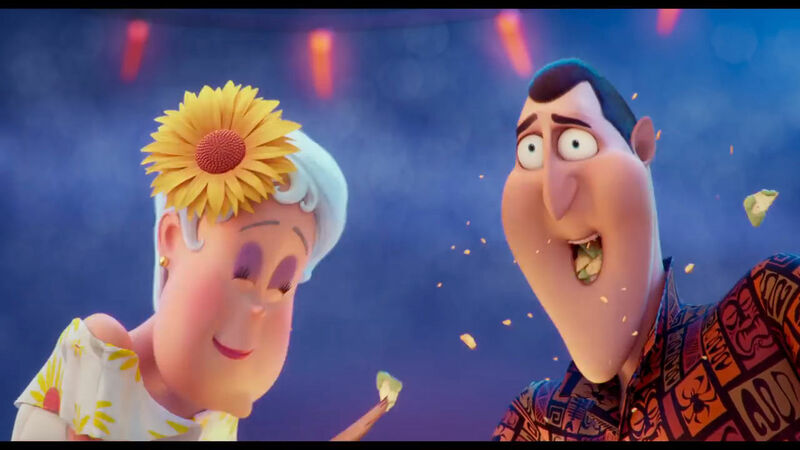 While they might not be the kinds of shots that leap out to the viewer with glitz and glamour, they are well executed animation as they serve the sequence they’re a part of. Also pay attention to how much can be told with just one pose, one shift of an eyebrow or one look away. Learning to identify when to take such a minimal approach will help to strengthen your skills and sensibilities as much as studying broader and more commonly appreciated animation. Hopefully I’ll expand on this topic in future posts. This entry was posted in Uncategorized on December 15, 2018 by Tim. 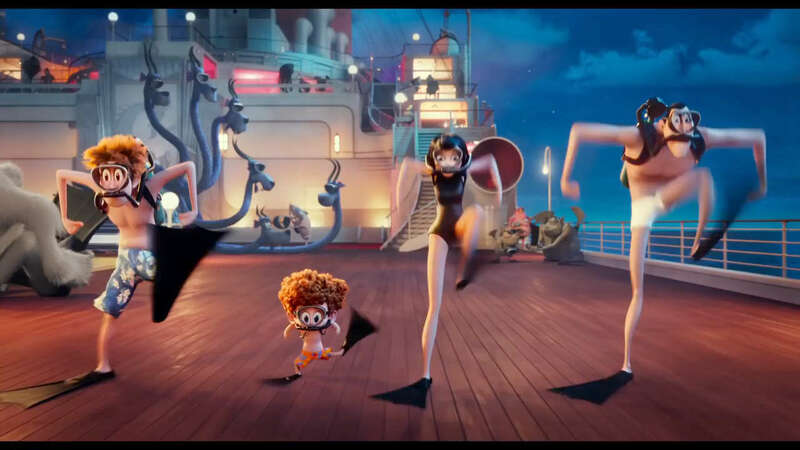 This weekend marks the opening of Hotel Transylvania 3. 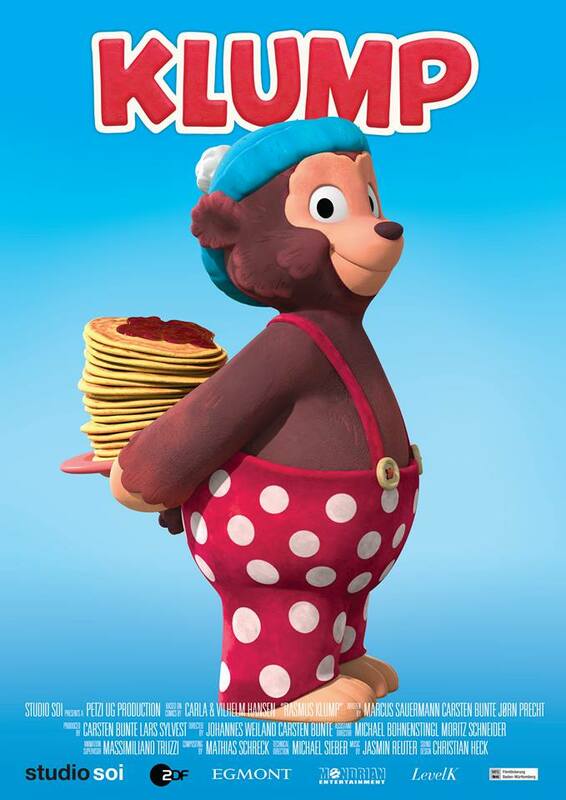 It’s a film I had the pleasure to work on and thought I’d celebrate with a post about its animation style. While studying animation, the 12 principles defined by Disney animators were the gold standard. I’d often see points from the Illusion of Life thrown around by students and mentors as though they were fact, it seemed if an animation went against what is written in that book then that animation is somehow wrong. I’d argue what is written in the Illusion of Life is by all means the foundation of animation, but it’s also written from the perspective of one style of animation. Adhering to them isn’t following a path to strong animation, it’s following a path to producing strong animation of the Disney style. Hotel Transylvania is an example of animation that is still solidly built on the 12 principles, but is pushed much more into a graphic style than what Disney Feature produces. 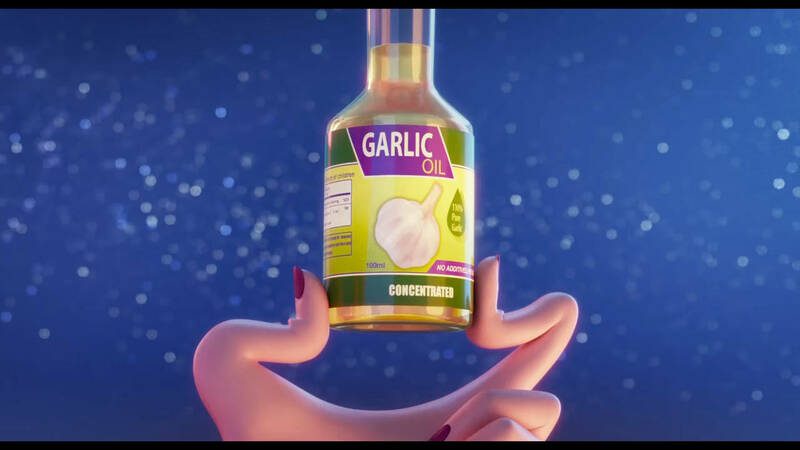 I’ve used the trailer as an example of where principles established by the Nine Old Men or common rules highlighted in animation schools are broken to achieve a different style. Twinning is the idea of a pose being symmetrical, one side is an exact opposite of the other. Throughout my studies I constantly heard the word “twinning” being thrown around as an evil to be avoided. I do think there is some truth to twinned motion breaking an illusion of organic movement and feeling robotic, but for the most part I think it’s an overused term. Check out these great poses that are twinned to get a strong graphic read. When doing squash and stretch on a head, the general rule is to maintain the structure of the cranium as it is hard bone and have the jaw do the squashing and stretching. It’s a rule I often saw Sony animators break on quick inbetweens. 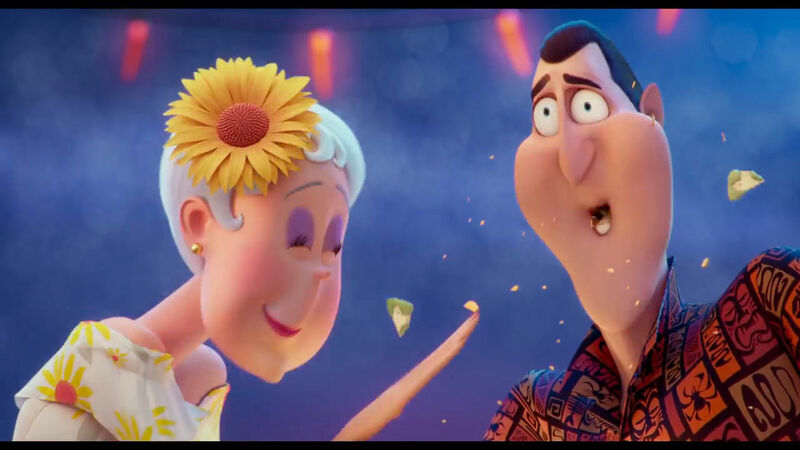 Here the animator has gone from correct anatomy on the nose to a broken shape that adds to the humour of the pose. The nose on the right is almost completely profile on a face straight to camera. There is so much broken anatomy in these poses. 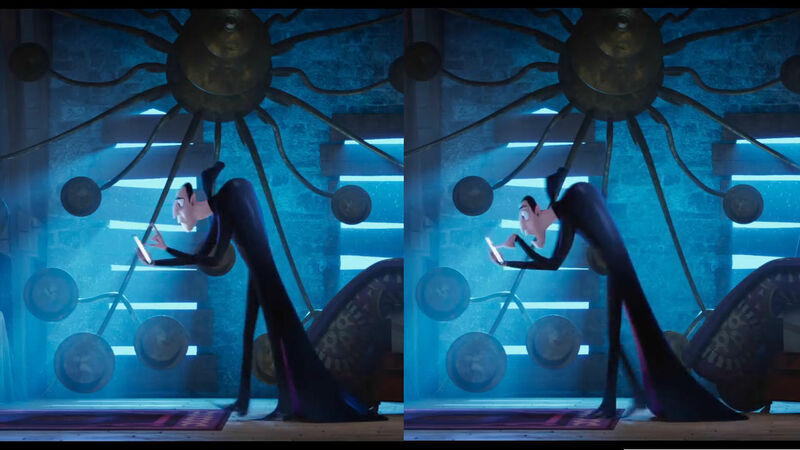 Obviously the different neck lengths but check out how short Drac’s upper legs are (I’m guessing to avoid negative space) and how much longer his upper arms are to his forearms. The pushed anatomy again helps sell the humour of the shot. I love how graphic this hand pose is, a beautiful mix of straights and curves. Try creating the pose with your own hand and see just how broken it all is. Walk cycle 101 tells you the “Up” pose before the contact pose is the highest point of a walk, and the “Down pose” just after the leading foot flattens out is the lowest point. Check out the hips on Drac, his walk has no ups and downs, giving him a weightless feel. Whether that’s purely for simplified cartoony reasons or to give Dracula (a character who can float) a subtle floaty feel in his walk, I’m not sure. 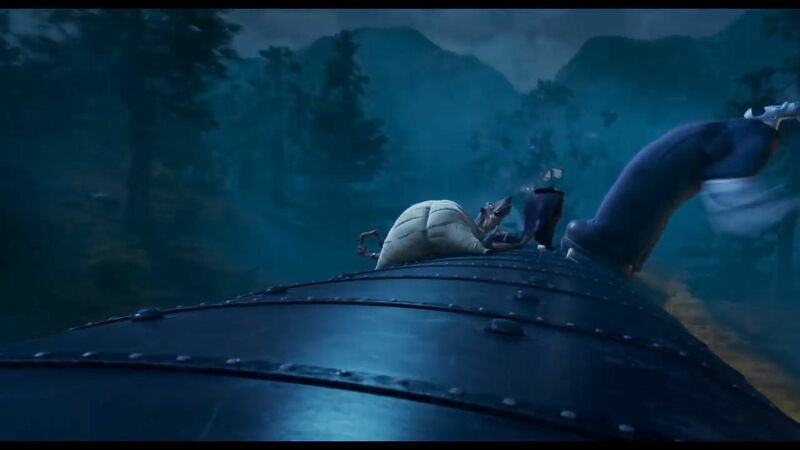 I love how pushed Frank’s balance and line of action is, he’s clearly in a falling pose but (from memory of the film) he breaks physics and stays on the train. I love how the animator on this shot managed arcs on the hand. The motion of the wrist is linear and unnatural, it doesn’t arc but the shape of the arm and fingers gives a subtle arc feeling. Also notice the squash and stretch on Erica’s head completely ignores the rule of maintaining volume. Earlier days of CG animation saw animators talking about dead pixels when characters don’t move, arguing that a 2D style can’t be done in 3D. It was said characters must be kept alive when doing nothing, the most common way being breathing and very subtle movements on limbs or weight shifting. Hotel Transylvania throws that out the window, watch any background character and notice how still they are. Main characters can also completely maintain a completely held pose. The idea of ease in can be ignored to exaggerate the sudden movement of an object. 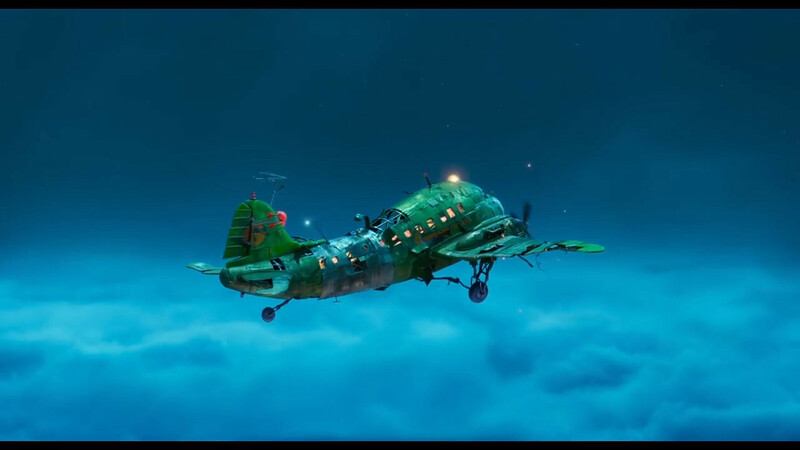 The plane here literally drops from one frame to the next, breaking rules of gravity. All through the film we used no video reference, all the above points I’ve highlighted wouldn’t have come through. The idea was to push graphic shapes and stylised motion and not be limited to correct physics. In terms of animation schooling I think animation reference is an important part of learning timing, antics, arcs, etc. 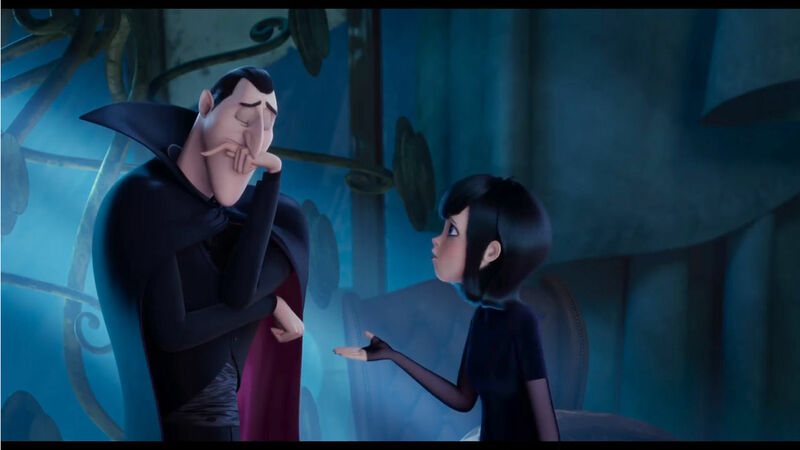 But it also leads to a more nuanced style of animation than a cartoony style seen in Hotel Transylvania. I hope that helps to highlight some ways rules can be broken and opens up ways of thinking about the 12 principles. I firmly believe in the saying “to break rules you first must know them” and thoroughly encourage sticking to them when learning the basics. But in order to work in different styles of animation, you’ll eventually need to learn when and how to break from the standard mould. This entry was posted in Uncategorized on July 15, 2018 by Tim. 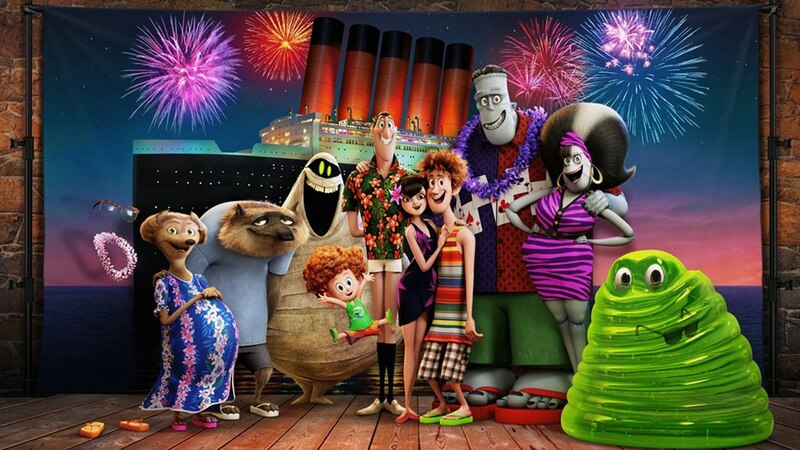 My work on Hotel Transylvania 3 wrapped up a few weeks back and I’ve since joined the team at Method Studios for a feature that’s yet to be announced. I figure it a good time to briefly go over a part of the industry that may be not be so talked about in schools. “I was talking to the interns about how a show is wrapping up and a lot of animators will be going to other studios. They were so shocked and couldn’t understand why people were leaving”. When I think back to my time at Animation Mentor, 5 out of 6 of my mentors were in staff positions, meaning they were hired as long term employees. I think all had been in their studios over 10 years, the odd one out has now been at their current studio for the past 4 years. If I think about the group of people I graduated with who are now in the industry, I can only think of one who is in a staff role. Even if I very liberally round it up to include others I possibly don’t know about, I’d still say less 5% of my fellow graduates from 2014 are in staff positions. Comparing 80% of my mentors to 5% of my fellow graduates is a massive gap between my schooling and industry realities. Most animators are hired on a contract basis. They might be hired for a specific project, a specific time-frame or even hired with an open contract with an end date to be decided. The idea still remains the same, they are a temporary hire. What that means is that when a project is nearing its end date, a studio will evaluate if there’s enough work to keep their current crew, and if not, will go through the process of deciding which animators to offer a contract renewal and which to let go. A studio and its crew can fluctuate wildly, from mass hiring, to possibly no work at all for months. The coming and going of animators is a normality in most studios. It can end up being a messy process and makes the end of a project a stressful time for those wondering if they’re going to be looking for a job in a couple weeks. I’ve seen people being offered renewals on their very last day and I’ve even seen people being let go and rehired a week or two later. 1. Live in an animation hub. This is one of the reasons I’ve moved to Vancouver, with a large amount of studios it makes finding work at lot easier and takes out the hassle of having to move with each new contract. Montreal, London, Los Angeles are also other cities that come to mind. Paris, Tokyo and Munich also have clusters of studios. 2. Save for downtime Maybe easier said than done, but every month I put some money aside for downtime with an aim of being able to cover living expenses for 6 months. Some countries may have unemployment insurance to help with long downtime, but I like to have certainty that I can take a gap between contracts and not worry about paying rent. 3. Have your reel and linkedin ready First in best dressed, you never know when an opportunity is going to open up or how quickly the role is going to be filled. You don’t want to be delaying things a week by thinking “I need to polish this shot a little more and then I’ll apply”, that’s an entire week a recruiter has been looking through linkedin and/or submitted reels. 4. Help others out I got my first job in animation after a friend suggested I apply to the studio, my second through a friend who was working at the studio, my third because a friend told me the studio was hiring and gave me the recruiter’s contact information. People have helped me in my career and in return, I try to help others in theirs. Sometimes that is as simple as passing on a link to a job posting or passing on a reel to your supervisor. We’re all in the same boat together, be kind and help those around you. – It’s easier than other industries to be hired. I often joke that an animation interview usually follows the same pattern: “What are you working on now? Cool, when can you start?”. One of my colleagues remarked “the interview I had for a part time job at SafeWay was harder than the Sony Pictures interview”. Animation interviews are usually fairly casual, short and straight to the point. – People stay nice. 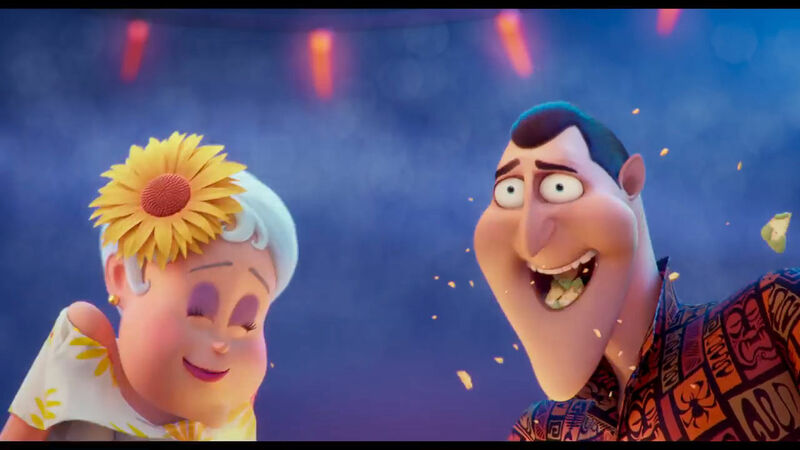 Maybe partly by necessity to stay hired or through studios weeding out their “bad seeds”, I find animation studios to be a supportive and friendly group of people. There are politics, but compares nothing to the stories I hear from friends in other industries. – Pay rises/career steps. Bouncing between studios is the perfect time to be pushing for higher pay or a step up on the ladder. It might not always happen, but a couple studio changes can end up being quite a large leap in pay. – Ability to choose projects. With enough experience or a solid enough reel, you may be able to choose between which projects you’d like to work on or which contract suits your situation best. 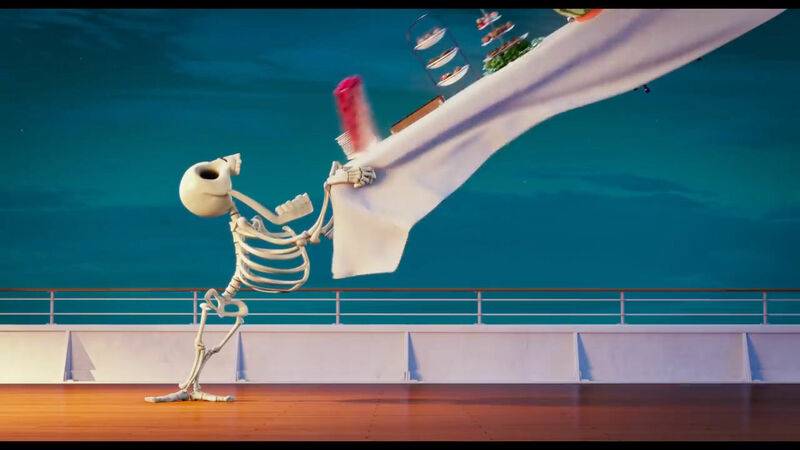 For further reading, check out Will Finn’s post “WHY YOU SHOULDN’T WANT A JOB IN ANIMATION“. He talks about looking at a career as a whole, rather than individual jobs and studios. This entry was posted in Uncategorized on June 30, 2018 by Tim. 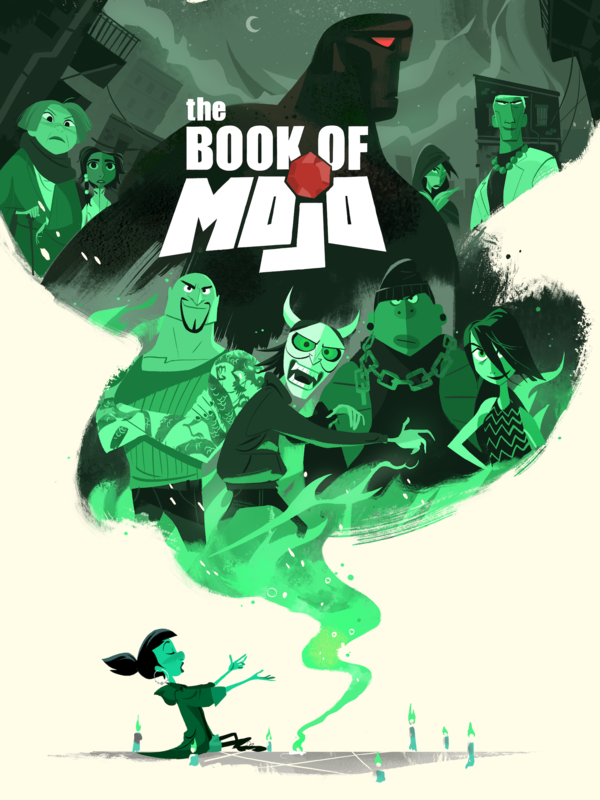 A couple months ago I jumped on to help Everett Downing on his Book Of Mojo project. We started out doing animation tests to work out a style for the show, one of them eventually turning into the first animated shots finaled for the short. 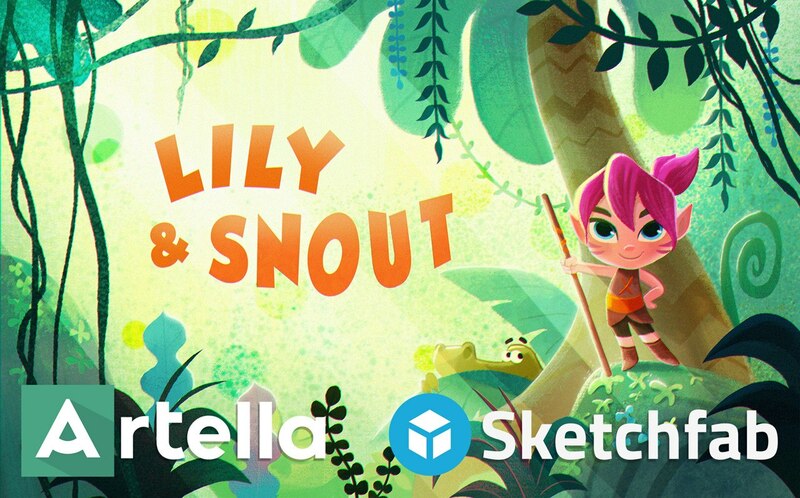 Everett will be speaking at CTN on an Artella panel in a couple weeks along with having a table, if you’re at the event be sure to check out what we’ve been up to and say hello. The project I spent almost 3 years working on with the wonderful Studio Soi crew in Germany now has a poster and will be aired in early 2018. We’ve screened at Annecy, Ottawa, Turin, International Trickfilm Festival Stuttgart, Anima Mundo and numerous others. So far it’s taken home 2 festival awards, not a bad start. A few months back I posted about a VR project I was directing, we completed as a side project in the mega fast time of 2 months and had an online launch in July. The short can be viewed online here, using either a browser, a (modern) mobile phone or VR headset. I didn’t realise at the time of making it was the first short film to utilise Web VR, kudos to the team for their R&D and bringing the short alive with the technology. You can read a detailed making of here. I also lent a small helping hand on Bobby Beck’s short film titled “Thistle One”, animating a 15 second shot that closes the short. The renders are looking great, looking forward to seeing this one in the coming year. I’ve enjoyed all the projects, all have been different to each other and am looking forward to what 2018 brings. This entry was posted in Uncategorized on November 5, 2017 by Tim. I just checked in on the Animation Mentor community to see what was happening and saw a question about doing work for TV animation. Anyone who has gone from Animation Mentor into TV will probably agree that it’s quite different to what is taught in these online schools that prepare students for the film industry. I’ve just wrapped up after almost 3 years of TV quality animation at Studio Soi, in that time I animated somewhere around 60 minutes of screen time (roughly 30 secs a week) on a new show being developed in-house. This post is about my personal workflow, different animators on the same production worked in their own different ways so it is by no means standard. Feel free to leave a comment if you have differing methods which might be of use to others. My approach to animating is to always see a shot in the context of what comes before and after. Before investing time on specific shots I would do a very rough first pass on the entire sequence, see how it all fits together and then go through with a finer comb. My goal was always to have something out as soon as possible and work it up rather than trying to show great animation all through the process. On top of allowing me to see a shot in relation to what’s around it early, it also gives a chance for a director to come over earlier if something is very off and also helps reduce unnecessary tweaking; looking at the bigger picture helps focus on animation serving the story rather than endless tweaking of animation for animation sake, a luxury TV can’t afford much of. Something that students might gasp at, animation planning was very minimal across the team. I went through a phase of drawing blocking ideas over the previs and showing the director early, which garnered a positive reaction. Eventually I found it actually didn’t affect much, it didn’t diminish the amount of feedback I received at blocking reviews and found I was still essentially rushing through planning rather than using it to explore ideas. One thing I did use periodically was video reference. I would use it for acting shots or if there’s a unique movement the director was looking for. In all cases I used it, I would ask the director to act the shot out rather than doing it myself. My goal was always to find out what the director wanted as soon as possible and found this to be the most efficient way. Usually we would be assigned a 1 minute sequence, with a 2 week turn around time. After having the kick off meeting with the director, my first pass blocking is essentially following the animatic and/or previs. I would block rough and get the main beats, playblast to the server and then move on to the next shot. I’d get through 1 minute in 2 days doing this and would work so rough I wouldn’t check playblasts until I looked at all the shots in sequence. The next 2 days would be for refining the sequence based on my own notes. That would include blocking in new ideas, refining poses, reworking timing, adding extra keys and a few breakdowns. I generally wouldn’t go into much detail on blocking as the director will have thoughts or ideas that build upon what’s already there. Investing too much time early can be going down a rabbit hole and lost time if the director doesn’t approve. The extra day for blocking would usually be eaten up by kick off meeting, director review, any extra touch ups or any outstanding notes a previous sequence. After the director has given his blocking review I would go straight into inbetweening, incorporating any changes into this pass. Again I go quick and rough first pass through, usually leaving out lip sync and on big shots sometimes just keeping it at keys and breakdowns. Again this first pass takes around 2 days, I make my own notes on the sequence and then spend another 2 days doing detailed inbetweening. The final day to round out 2 weeks for the minute of animation is for final notes from the director. – Tween Machine. An animator’s best friend. – aTools. All our CG animators now use this, it has a great arc tracker and fake constraint tool which I would use sometimes in rough blocking before setting up proper constraints. aTools does make Tween Machine redundant as it has its own functionality, but I always preferred Tween Machine. This one will annoy anyone who comes to your computer, but I remap my keyboard shortcuts so almost everything is done with my left hand. I wrote about this a couple years ago and still haven’t changed the set up all that much. One thing that helps to work fast is if your Maya scene is light. I would animate a lot with Isolate Select and even set up my own keyboard shortcut to Isolate Select a character or prop quickly. I also used a mel script that would place all characters and environments on unique display layers and then would put any heavy objects in their own layer, turning them off for most of my animation time. I have never worked in Viewport 2.0 on a production and always kept everything in low res until it was time to check final animation for technical fixes. I know some animators who swear by them, I found they often took the same amount of time as creating a pose from scratch and were a more boring way to work. Libraries get larger and slower over the server, it takes time to find what you want and then takes time to tweak it to how you like it. We did work with simplified facial rigs, for a more detailed rig my opinions there might be different. I did however use it for hooking up poses over shots and also walk cycles. I’d apply the cycle, animating the layout control along the path. Once the speed and path looked roughly correct I would bake the movement from the layout control onto the Feet and COG controls using the Locinator tool mentioned above. One point I do like about pose libraries is if you’re new to a project, well fleshed out libraries can be a great starting point to keeping a character on model. My general workflow on any production is always to block with stepped keys. For action shots, shots with very subtle movement or overlap I switch to splined blocking, using a mix of Pose to Pose and Straight Ahead workflows. It allows me to keep a better sense of how timing will work and at Studio Soi I found action shots generally had less notes from the director than acting shots, so wouldn’t hold back on detailed blocking on those shots. The style of animation for TV’s high quotas needs to be a more limited style than what’s used in film or taught in online schools. This may need a whole other post, but the general idea comes from 2D animation and having less pencil mileage by having less inbetweens. Key poses would be milked more, animation tends toward a snappier pose to pose style, any kind of keep alive may be limited to just blinks or eye darts and generally polish is minimal. 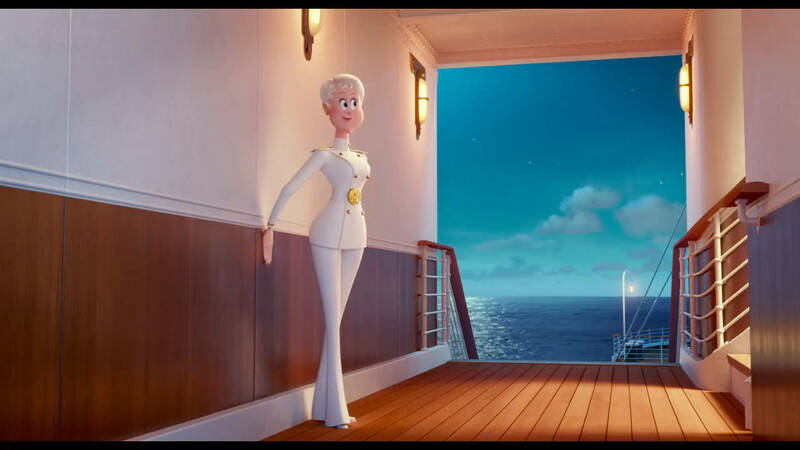 Although this is a simpler style of animation, when you’ve been taught in a nuanced Disney or VFX style it actually takes getting used to and is something we would look for on a reel when hiring. Check out any of your favourite TV series and compare with a Disney/Pixar style of animation to get an idea. 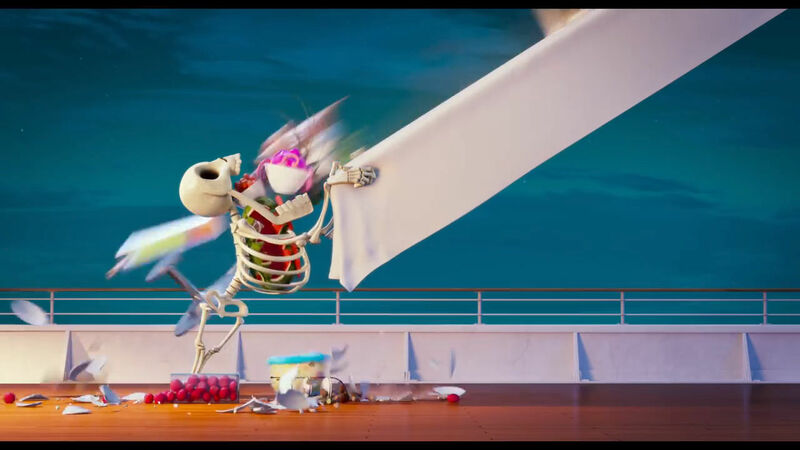 I’d argue that the Peanuts Movie and Lego Movies are both a very polished type of limited animation. At my previous studio we would do a morning check-in everyday, mainly to talk about any issues and to check on progress. It’s something we didn’t do so much at Soi seeing we were such a small team (4 animators for the majority of production). My only tip here is to always give realistic predictions on when you’ll be finished, don’t give an answer that the project manager is wanting to hear or what was written on the schedule. Having been on the management side of short films, I can say someone who is falling behind is much easier to manage than a schedule built on false promises. I hope that helps get an insight into what might go into working with high quotas. It can be quite a change and a little stressful if you haven’t worked in that kind of environment before, but after pushing through that adjustment time and finding your own workflow it really does become quite manageable. This entry was posted in Uncategorized on October 14, 2017 by Tim. I do tend to agree, with my only comment being it is relevant to animation artists everywhere, not just Los Angeles. Even as an Australian living and working in Europe, I could relate to almost everything Natalie writes about. But it’s more than just relating to her story that resonated with me, it’s that she touches on topics in such a truthful manner that I personally rarely saw before entering the industry, let alone before signing up for animation school. Our perceptions of the industry before we enter it are very much influenced by commerce; schools, studios, podcasts, conference presenters and even industry magazines paint a glossy picture of the industry as it’s often in their own interest to do so. While Natalie does paint a success story – she documents going from no art school to working at Disney features as a story artist – she does manage to describe her hardships and struggles quite well, even admitting seeing a therapist at one point for depression related to her move. On top of that she also touches on the demands of overtime work, how much she struggled to kick start a career, the downsides of living in a city for work rather than personal choice, difficulties of apartment hunting in a new city (surprisingly more stressful than it sounds) and also gender/race inequality in studios. All great things to be aware of, for people considering whether to make a career out of this industry and how they could approach doing so. The comic covers plenty of positives and definitely shows the joy she gets from working in animation. It’s by no means a hard hitting critique on the industry, but it is one that documents the experience of being a new comer very accurately in a balanced while also enjoyable and visual way. You can buy the comic via gumroad. 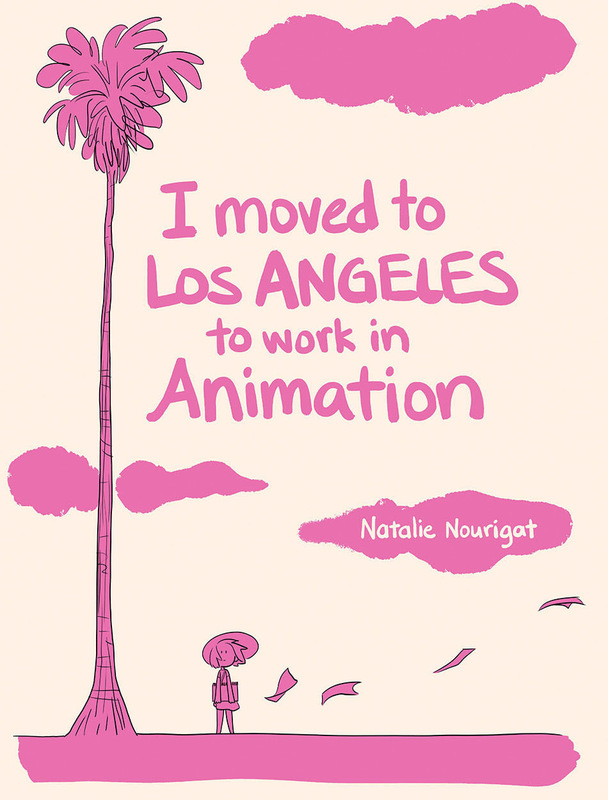 – Natalie is a story artist, not an animator. L.A is known for pre-production, while a lot of animation is outsourced. If you’re a level entry animator thinking of moving to L.A to find a job, it might be best to talk to people already there about how many openings there are for junior animators or if somewhere like Vancouver or Montreal is more viable. – Natalie works at one of the biggest and most successful studios in history. A lot of the perks she and/or union workers experience aren’t universal or to be expected. For example the work hours, benefits and salary of a junior animator at a feature studio in L.A can be a lot different to what would be experienced at a feature studio in London, Tokyo or Sao Paulo. This entry was posted in Uncategorized on September 28, 2017 by Tim. I’m starting to see questions about the CTN Animation Expo pop up on Facebook so thought I’d share some quick tips from the perspective of someone who has been there twice, both as a recent graduate and again as a ‘working professional’. – CTN is hosted next to Burbank airport and is a short walk away, if possible book your flights through that airport. What a lot of people don’t realise is how far CTN is from LAX. If you’re flying in or out on one of the days of the conference, be sure to factor in travel time. I’ve traveled by both shuttle bus and Uber, both taking a little under an hour. – Staying at the Marriott is a big plus, if you’re tired you can easily pop upstairs for a break, drop bags off, etc. It does sell out fast (most probably months ago) and is expensive, but there is a facebook group for people looking for rooms to share. – Nearby hotels are fine options too. I would suggest to load up Uber or Lyft on your phone so you can leave and go back when you want and not wait for the CTN shuttle bus. If you take group ride share options, you’ll most probably end up with other CTN attendees, another way to meet people and cut costs. – If you’re job hunting it’s best to bring your reel on a tablet and possibly even headphones. Lugging around a computer will be heavy and cumbersome over the course of the event. Don’t rely on having wi-fi, be sure to keep a link you can pass to recruiters, but keep your reel as a file on your tablet that you can instantly open up. – Business cards are a big plus. Companies like Moo allow you to set up and print your cards easily over the internet. If a recruiter likes your reel, they’ll ask for one and also when chatting with people around the event, it’s easy to whip them out and follow up later. I would toss up between having 50 or 100 cards printed. – You’ll be on your feet a lot, so comfortable shoes are also a plus. – If possible pick up your pass on the night before, otherwise go early on the opening day. I remember the official kick for CTN 2016 being around 12pm on the Friday, but there were still hundreds of people waiting in line to pick up their passes to enter. – For talks, book the ones you absolutely want to go to. I’d recommend max of 3 per day and then see on the day which extra talks you might want to squeeze into. Anything by well known animators fills up fast and probably won’t have extra room for those who haven’t reserved entry. – Visit studio booths early on the first day, if you’re looking for a reel review they’ll often hand out tickets with times for you to come back. Saturday is the busiest day of the conference and Sunday things start to slow down/wrap up as people start catching flights. – Be sociable. If you’re standing in line, say hello to the person behind you. Everyone has something in common and are hoping to meet like-minded people. – If you had mentors or know people in LA, let them know you’ll be at CTN. Some will be open to having a drink or doing studio tours. When going in my graduation year, I met up with 3 of my 6 mentors during my first CTN trip. – Party. Friday and Saturday are the nights to have a drink and meet a few people. The hotel bars are safe options, but would keep an ear out for any other events. By Sunday everyone is exhausted or leaving. I’m a big believer in not going to events with the intention to ‘network’, but just to have a good time and meet others irrespective of their position in the industry. I also think building honest friendships with those around you is the real key to growing your network. – Follow up. When you get home, go through the cards you’ve collected, facebook/linkedin connections you’ve made, recruiters you’ve met and send them a quick message. Say where you met, that you enjoyed the opportunity and maybe follow up with a question for more info on what you discussed. – I’ve had both and would say for an animation graduate there’s no reason to splash out on a VIP pass. Anyone you would like to meet is accessible on the floors or after their talks. I would suggest taking the savings from the cheaper pass and put it into more studies, you’ll get more out of it. It is a fairly large event, probably held in an event space not best suited for its size and is filled with recent graduates trying to get any kind of leg up in the industry. A lot of the people helping out at the event are volunteers who may not be fully aware of everything that will be happening. Keep respectful, get to events you want to attend early, don’t expect to come away with a job offer, but do expect to have fun and meet some like-minded people. One thing I do like about CTN is they record their talks in the bigger rooms. Some are freely available online, others are on their CTN TV web site as part of a yearly membership. Currently the site is charging $5.99 for a year long access. I do have access to this and while it doesn’t have every talk you might have wanted to see, I would say it is worth that small amount. I’d just be sure to check if it is a recurring yearly payment or if it’s a one off payment for a year. Feel free to throw any other questions or tips in the comments. This entry was posted in Uncategorized on September 25, 2017 by Tim. Something mentors in later classes of Animation Mentor often said is “keep doing your own personal shots”. 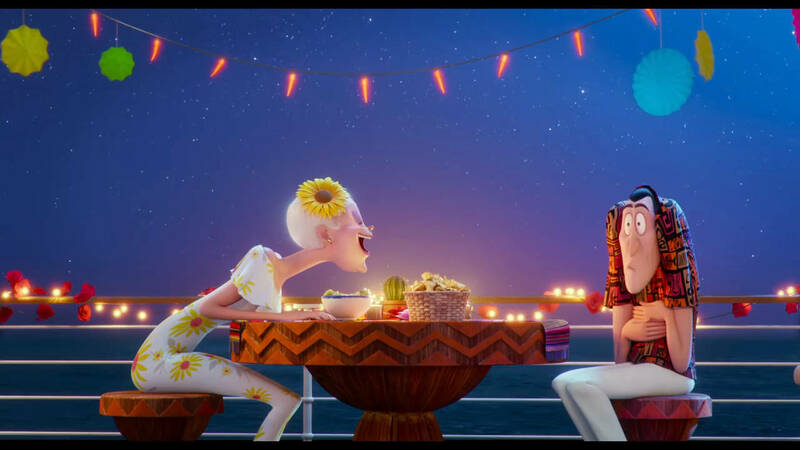 It’s a no brainer for graduates still looking to get their start, but also good advice for animators in the industry who may not always be getting shots that will progress their skills or fulfil their creative itches. Something I soon realised after Animation Mentor is very few people follow through on that advice. In my personal experience I have never finished an acting shot on my own, there’s been multiple attempts but all end up gathering dust after some time. One thing I’ve found is I personally can’t work without an outside expectation on me to deliver a large amount of work. In a class you have expectations of your mentor/teacher to meet, you have weekly deadlines, grades to uphold, a financial outlay you’re trying to get the most out of and classmates to compare your progress against. Once you take all those elements away, you’re down to just self discipline to to go through a shot from start to finish. When a shot takes weeks to complete, it’s not hard to fall off the bandwagon and stay off it. Offer to help out on a short film. This brings back deadlines, meeting a director’s expectations and comparing your own progress against your peers. If you’re able to jump on a project with a director from an animation background you’re also able to gain useful feedback that pushes your skills and understanding of animation. I’ve helped out on shorts for former Pixar animators Carlos Baena, Bobby Beck and Everett Downing and have enjoyed all experiences. From the various projects I have about 2 minutes of completed animation, way more than I would be able to complete on my own. If you’re looking for projects to join, check out Artella or Nimble Collective. Tip: before jumping on a project ask about adding your completed shots to a private reel. Side projects take years to complete, when you’ll be able to show your shots publicly is anyone’s guess. Loop De Loop is an online animation challenge which offers a theme, a 2 month deadline and screenings in multiple cities. The 2 month deadline is adequate time, there’s no minimum time frame for your shot, there’s a guaranteed audience and is also a great step to challenge yourself in a bit of directing a shot/concept development. Here is a post breaking down how I collaborated on a Loop De Loop with an old university friend. Well known within the industry, a line of dialogue about 11 seconds in length is supplied and a 1 month deadline is given to complete the shot. Shots are voted on and winners are announced. Completing an 11 second dialogue shot in 4 weeks is tough, but definitely doable, the short time frame means the ball has to be continually rolling and helps stop the “I can do it later” excuse. 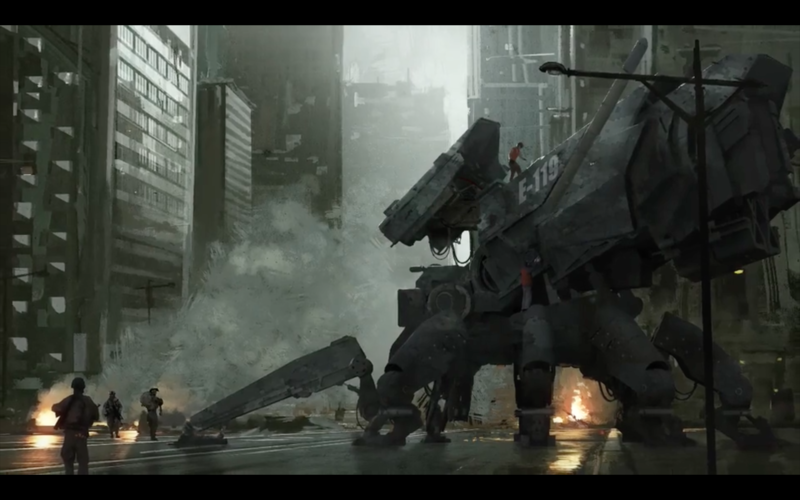 Some animators such as Jean-Denis Haas also mentor for a fee much lower than schools. If you’re paying money always check reels, not just credentials of the mentor. I have seen junior level animators offering mentoring for a fee, something I’m quite skeptical of. This is very common, even for animators who already have their foot in the door. The structure of a reputable school in my mind beats all the above options, but obviously comes with a high price tag. Animation Mentor offers discounts for alumni retaking classes, Animsquad, iAnimate, AnimSchool, CGtarians and Animation Collaborative are all great as well. I know numerous animators who have tried a mix of the schools to find the best solution for what they wish to work on. Some offer specific classes in cartoony animation, creatures, facial performance, etc. I should mention, for current students it might be best to hold off trying any of these until after graduation. I often had students asking to help on DUEL and often see students taking multiple classes, try an extra shot on the side, etc. In my mind it’s spreading yourself too thinly and not getting the most out of your education. This entry was posted in Uncategorized on September 3, 2017 by Tim.